Prominent Camborne-based transportation consultancy, Byways and Highways Ltd, has been acquired by national construction services group Hydrock. The £52 million turnover Hydrock is already working with Byways and Highways on a number of public and private sector projects and there are significant combined prospects for the future. The companies’ directors have worked extensively to ensure the 15-strong consultancy business is seamlessly incorporated and rebranded to “Hydrock Byways & Highways”. Former Byways and Highways MD Graham Fincham has assumed the title of transportation director of the new company. 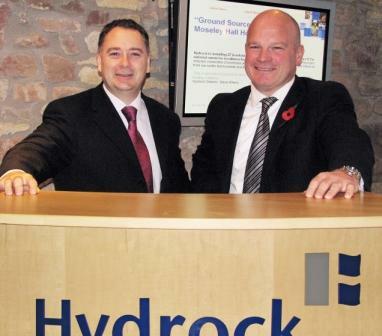 Dr Brian McConnell, Hydrock’s managing director, said: “This is fantastic news for all of us within the two companies, bringing more and larger opportunities for Hydrock and its staff. The acquisition will broaden Hydrock’s customer base and allow us to offer yet more services to our highly-valued existing clients. “The two companies have very similar working cultures and I believe we have a great future together,” he added. Byways and Highways’ specialises in highway engineering and transport planning services to both public and private sector clients from their offices in Camborne, Taunton and Bristol. Its range of services complements Hydrock’s own civil, structural, land quality, geoevironmental, flood risk assessment and infrastructure consultancy capabilities, and its specialist contracting offering which includes drilling, geothermal installation and slope stabilisation. Established in 1995, Hydrock is a nationwide construction services group, employing over 250 personnel from 12 UK offices, and has earned a top 15 place in the Sunday Times 100 Best Companies To Work For survey for the past five years.